Written by KirbyPrickett on August 5, 2015 Blog, Customer stories. Jill Bourque’s many years as a performer in the independent theater scene allowed her to identify a need she knew had to be filled: empty seats were costing theaters and live performers. To solve this problem, Jill created RushTix, a curated membership site for live performances and events. Through the site, Jill creates a connection between live event organisers (who need to fill seats) and curious event-goers (who are looking for an affordable way to regularly see live performances and events). One of the first steps to any successful business is translating a passion or niche piece of knowledge into a product or service. For Jill the need was obvious because of her experience in the industry. I am a performer myself and I have been producing theatre independently for about 15 years. One of the pain points of producing theatre is when you have empty seats. As Jill explains, ticket pricing is very inefficient in entertainment, because unlike airlines or hotels, prices don’t dynamically change. Overtime, the discounting options really devalue your brand over time. It sends a signal that something is wrong. According to Jill, as much as 35 percent of tickets usually go unsold. Jill turned to a different source of inspiration to solve this problem: Netflix. Netflix is interesting because they give you access to all kinds of entertainment for one monthly fee. There’s also a curation aspect, where they try to figure out your preferences. 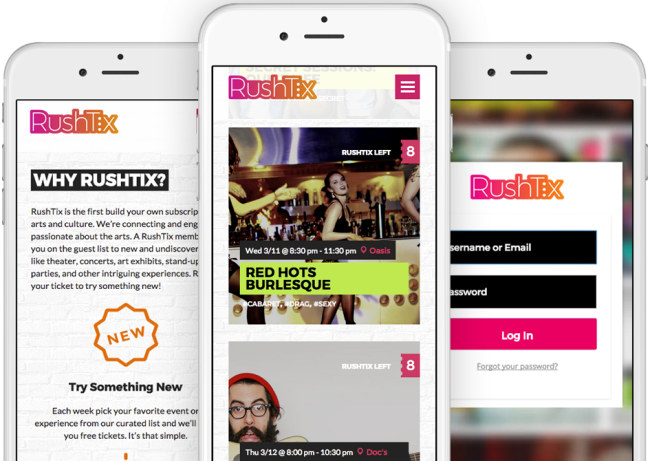 With the RushTix solution, customers pay a monthly fee to get access to a wide variety of tickets. Presenters who have last minute tickets release those tickets to the RushTix pool. Here’s what’s great: there’s no discount directly tied to the theater, so customers don’t associate the lower price point with the quality of the show. RushTix also curates its ticket suggestions to individual customers based on their habits and preferences, albeit currently on a manual basis. That creates a special community around RushTix and the events they feature. Once you have an idea, the next step is building a version to test whether customers are interested. While it might be tempting to go all out, Jill says that making a version that doesn’t break the bank is what’s key. I created a really ugly site and had a super basic email, but people signed up. What’s great about WordPress and WooCommerce is that it’s easy to set up something very quickly, test it and see if you have a product. I literally put together the website with 500 bucks. Before RushTix, Jill already had experience with WordPress and liked the open-source nature – she knew there would be options to modify the code directly and that “there’s lots of folks contributing to it,” so finding help later down the road would be easier. Jill used Bluehost, WooCommerce, a free theme and WooCommerce Subscriptions for her initial setup. For payments, she relied on the PayPal Standard payment gateway already available in WooCommerce. Since then, she’s added on additional tools and is currently testing out the new WooCommerce Memberships extension. With such a lean implementation, Jill didn’t have to wait for large investments to get started. As she says, they began with “friends and family round, a very little amount.” Since then, based on the early the success of the site, RushTix has taken part in an incubator and recently received some seed funding from prominent Silicon Valley angel investors. We only took a small amount. We could have taken much more but we didn’t. We just wanted to prove out our model. With a simple digital storefront ready to go, the next step is finding the people who will make or break your business. In Jill’s case, that meant the event partners that would supply the tickets and the customers who were looking for new entertainment options. We just get in touch with all the different venues and tell them about us. Through that outreach, we now work with over 400 arts and culture organizations. Because Jill was filling a need for venues, they were enthusiastic to get started and join RushTix. As a result, RushTix has approximately 40 events to present to its members each week. On the other side of the spectrum, Jill also had to find the right customers to take advantage for the service. She started with word-of-mouth, allowing the service to grow organically through friends and referrals. Because her roots are in the live entertainment community, Jill was able to attract the right influencers to make the project a success. Chiefly, a founding team member named Johnny Funcheap (not his real name) who promoted the service through his site FunCheap.com, this tapped into an existing audience of interested potential customers. We’ve organically been growing pretty consistently, about 20-30% month over month, in our monthly recurring revenue. Once customers are using your product or service, their satisfaction can determine your fate. By making your existing customers happy, you can ensure their continued business and also turn them into advocates on your behalf. For Jill, a big part of the RushTix promise is about helping customers find shows they would otherwise have missed and helping great shows, in turn, gain exposure. 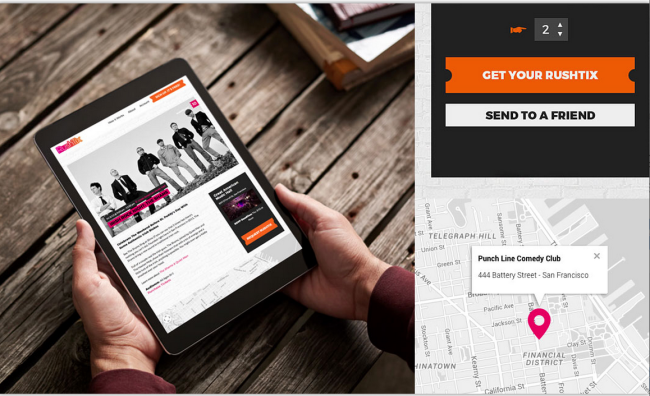 Another important part of the RushTix process is the initial customer experience. The biggest deal with subscriptions is the onboarding process. And subscriptions are highly dependent on the customer service element, unlike other products, where maybe it’s a one off. To fill those needs, Jill focuses on making sure new customers have a great experience and are introduced to shows as quickly as possible. On the partner side, Jill is happy to see some meaningful success. I think we’ve helped give some exposure to some things that people don’t know about. With things up and running, you may want to let your business run for a few months so you can work out the kinks before expanding. We launched in March officially. We’d been in beta for 10 months before that. 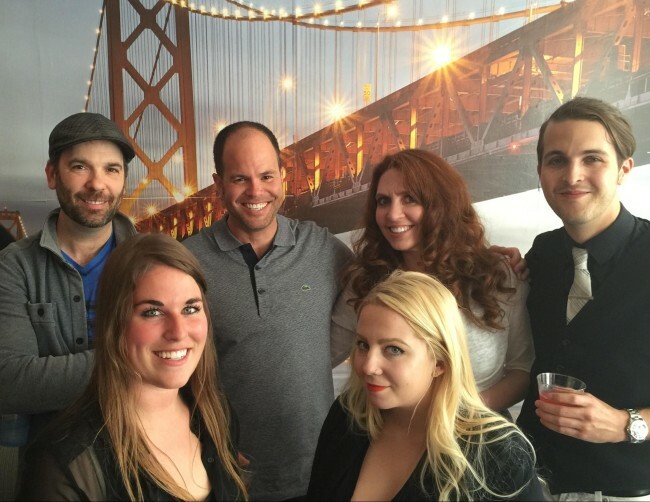 For Jill, starting her business in San Francisco presented some challenges: there are already so many apps available for that market, including in the entertainment sector, and finding the right team to join her company over others proved tricky. Now, Jill is experimenting with paid advertising and PR to draw new customers to RushTix and making some changes to the product to make it easier to share with friends, leveraging existing customers to grow even faster. Once the San Francisco playbook is worked out, Jill is eager expand into new markets, ideally starting with New York and then Los Angeles. We’d like to simultaneously go into ten other markets, and we have a model that supports that where we can grow simultaneously in a lot of different markets. In conclusion… Go see the new WooCommerce Showcase! We love learning more about the people using WooCommerce and telling their stories. In fact, there’s a new home for them over in the WooCommerce Showcase – see RushTix in there, as well as many other excellent sites powered by WooCommerce. Looks great, would be nice to know how much is the membership here? I love WooCommerce! Thank you team has been created best platform for to run online eCommerce!